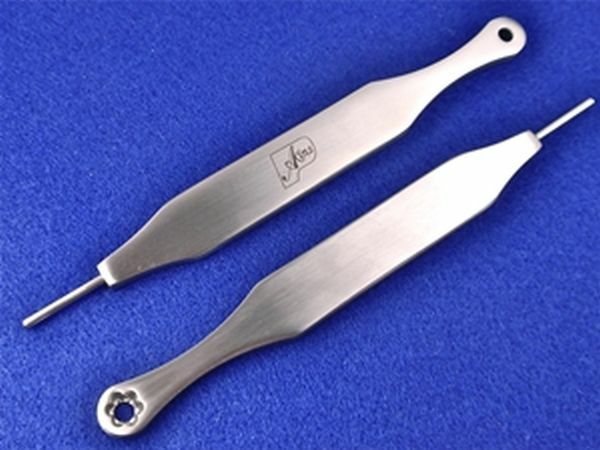 Measuring 5-1/2" long, this accurately machined wrench made from high-polished stainless steel enables precise adjustment of jack escapement in any grand piano made in the USA without removing the action. One side for precise eye type regulating the other for dowel type. Developed by Keith Akins, RPT.